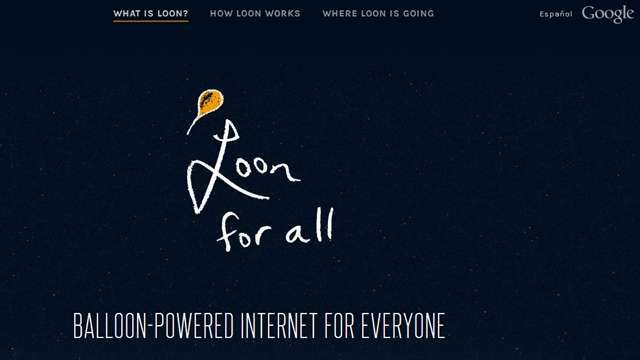 In a very top secret mission which has been named 'Project Loon' Google launching Internet-beaming balloons into near space to provide faster Internet to the remotest part of the world. The project being experimented by the top secret Google (X) division is called 'Project Loon' after the helium powered balloons. It was experimented in New Zealand earlier today and 50 volunteer households, who are participating in the project. The volunteered homes are enjoying 3G like speeds with the help of the helium balloons that sail about 20 km above Earth. At the moment, 'Project Loon' is still in the nascent stage, but Google has plans of going where no company has gone before. It plans to launch thousands of these helium powered balloon to bring the Internet to even the most remote parts of the world. The technology is seen as an alternative to installing expensive fibre-optic cables in developing countries and remote deserts of the world. The helium powered balloons according to Google can be used in disaster regions like earthquake or tsunami affected ones, where on-ground communication has been destroyed can provide much necessary real time information about the situation on ground. Each balloon is nearly 50 feet in diameter and an electronic equipments hang underneath each carrier, which include radio antennae, a flight computer, an altitude control system and solar panels. Google says each balloon is able to stay aloft for about 100 days and provide connectivity to an area stretching 40 km in diameter below them. "It's pretty hard to get the internet to lots of parts of the world," Richard DeVaul, chief technical architect at Google [x], the company’s top-secret division said, "Just because in principle you could take a satellite phone to sub-Saharan Africa and get a connection there, it doesn't mean the people have a cost-effective way of getting online. The idea behind Loon was that it might be easier to tie the world together by using what it has in common - the skies - than the process of laying fibre and trying to put up cellphone infrastructure." Google has plans to expand Project Loon to Argentina, Chile, South Africa and Australia and is looking to tie up with other organisations to fit similar equipment on buildings. Google should also look up on India for a similar experiment given the scale of loss we suffer in case of natural disasters. Just read it yesterday on the NDTV app. I hope they continue with this project and also bring it to the South east Asian countries. Very good initiative. Can be used in India also to reach the mass, for health care and other initiatives.